Come and enjoy the thrills and spills of NZ's #1 D.I.Y. Raw Comedy Quest where we go in search of the funniest new comedian of the year. Tickets only $5 - every Monday from Feb 11th. And if you think you have what it takes then sign on for a spot in the Heats by emailing scott@comedy.co.nz. It's the bungy jump of stand-up comedy in New Zealand where we take humankind's greatest fear - public speaking- and add the expectation of being funny! 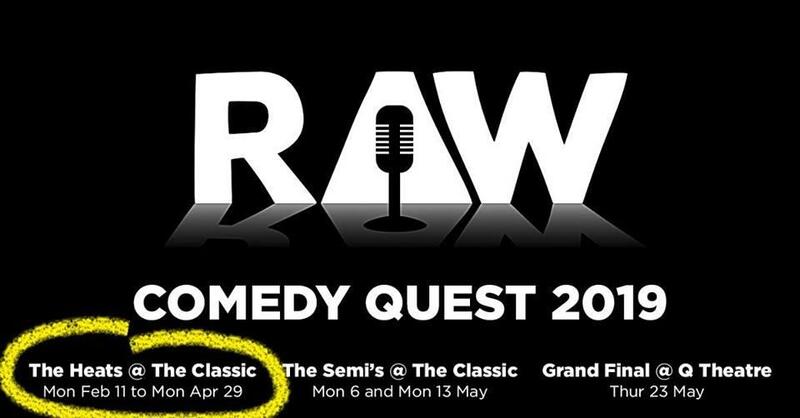 Launched in 1995, the Raw Comedy Quest is New Zealand's biggest comedy competition, with $2500 in prize money, the glory and promises of further work as a professional comedian to be won.